Acknowledged as one of Australia’s finest writers, Julian Randolph Stow (known as Mick to his friends) was born on 28 November 1935 in Geraldton, Western Australia. He was educated at Geraldton Primary School, Guildford Grammar School and at the University of Western Australia. Stow’s first novel, A Haunted Land, was published in 1957 and utilized the Ellendale-Sand Springs area as its setting. 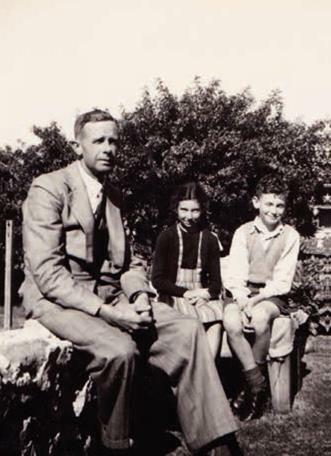 Cedric Stow with Helen and Mick, 1947. Image courtesy of Helen McArthur. Randolph Stow, image taken from the book, Geraldton: 150 years, 150 lives (2001). Following a brief stint at the Forrest River Aboriginal Mission in the North Kimberley, Stow tutored in English at the University of Adelaide and then went on to study linguistics and anthropology at the University of Sydney. After training as a cadet patrol officer he was posted as Assistant to the Government Anthropologist in the Trobriand Islands and Milne Bay area of New Guinea in 1959. During the course of this work he suffered a mental and physical breakdown and was eventually invalided back to Western Australia, where he recuperated on a family property in the Geraldton area. When his health improved in 1960, Stow made his first visit to England, where he later lectured at the University of Leeds. 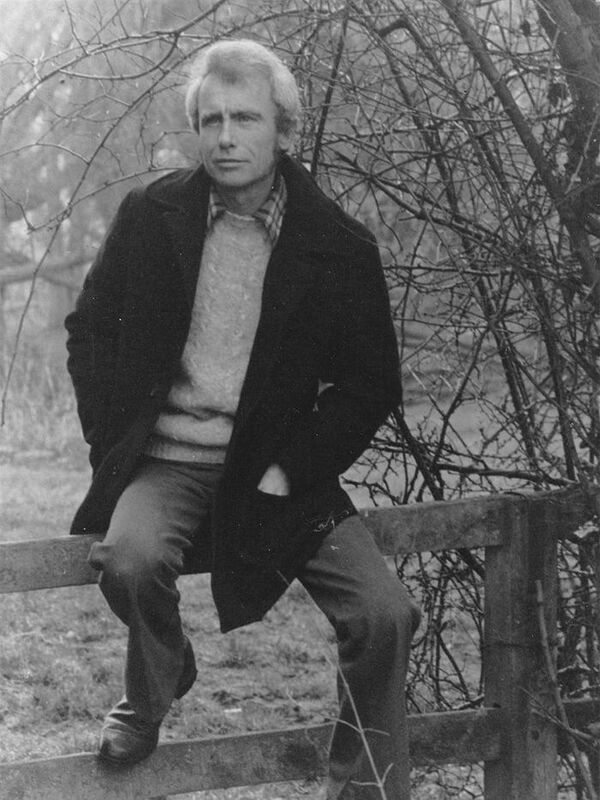 In the mid 1960s he travelled on a Harkness Fellowship in the United States, stopping for some months in New Mexico to write his classic work, The Merry-Go-Round in the Sea. In 1969, Stow finally settled in the village of East Bergholt, in his ancestral home of Suffolk in England. After moving permanently to England, Stow visited Australia only once, in 1974, after being awarded a Commonwealth Literary Grant. While his later novels Visitants and The Girl Green as Elderflower were permeated with his experiences in Papua New Guinea and East Anglia, the influence of Geraldton and its surrounds during Stow’s youth continued through his ongoing research in European libraries into the story of the Batavia mutiny and the discovery of its wreck in 1963 helped to maintain his links with his hometown. Stow moved to Harwich, Essex, in 1981, the setting of his last published novel, The Suburbs of Hell, released in 1984. For the local Bicentennial celebrations in 1988 Stow penned a poem to mark the dedication of the replica merry-go-round on the Geraldton foreshore. His last known piece of public writing was a letter addressed to the 2009 entrants in the Randolph Stow Young Writers Award, on the twentieth anniversary of its inauguration. On the 29 May 2010, sadly he lost his battle with cancer and passed away in Essex aged 74 years. Randolph Stow is remembered fondly by the many who were captured by his vivid descriptions of landscape and life. 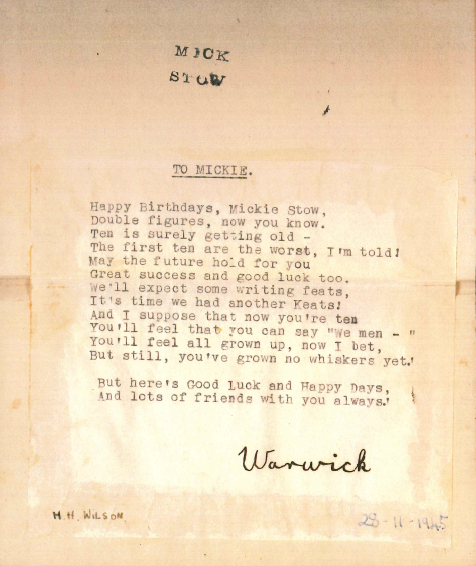 Poem To Mickie written for Stow's 10th birthday by Helen Helga Wilson on behalf of her son Warwick, to go with their birthday present to him. Source: Geraldton Regional Library. 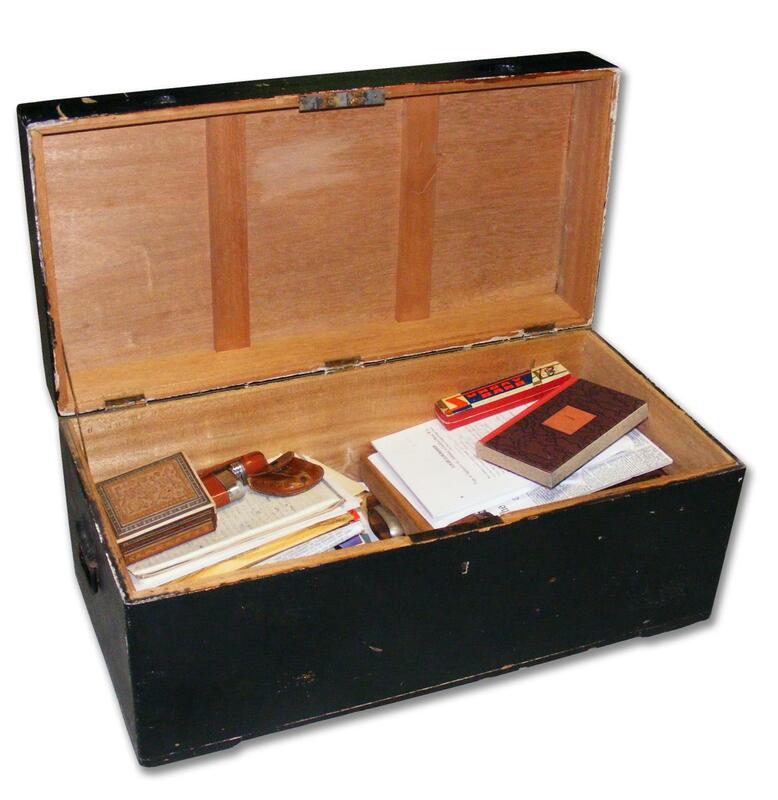 Travelling trunk and personal memorabilia donated to the Geraldton Regional Library by Stow in celebration of the Library's 30th birthday in 1998. NEW RELEASE: Falkiner, Suzanne. (2016). 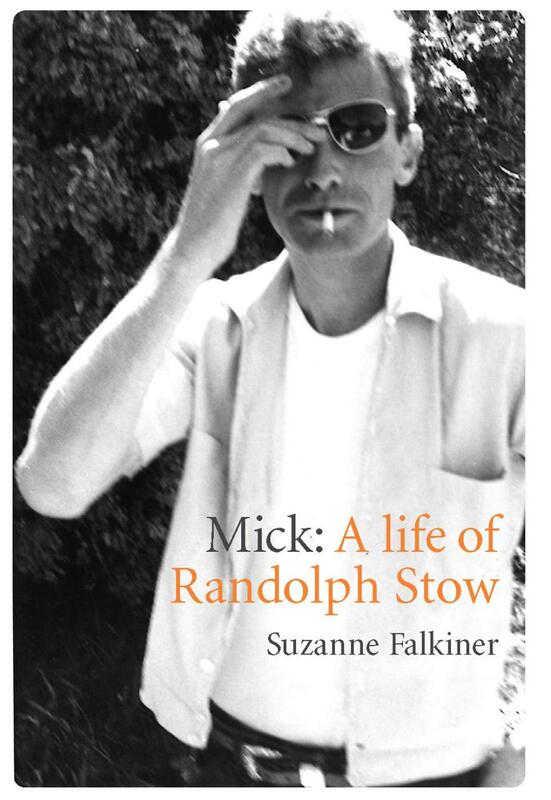 Mick: a life of Randolph Stow. UWA. Carey, Gabrielle. (2013). Moving among strangers: Randolph Stow and my family. UQP. Hassall, Anthony. (1986). Strange country: a study of Randolph Stow. UQP. Local Studies Department. (2001). Geraldton: 150 years, 150 lives. Geraldton Regional Library. Stow, Randolph; arranged and with an introduction by John Kinsella. (2012). The land's meaning: new selected poems. Fremantle Press. Willbanks, Ray. (1978). Randolph Stow. Twayne Publishers.